Experience – Seal King has been in the pavement maintenance industry since 1991 and we maintain a high quality standard for all of our services. Insurance – Every crew at Seal King carries full workers’ compensation and business liability insurance. Our vehicles and equipment are fully insured. 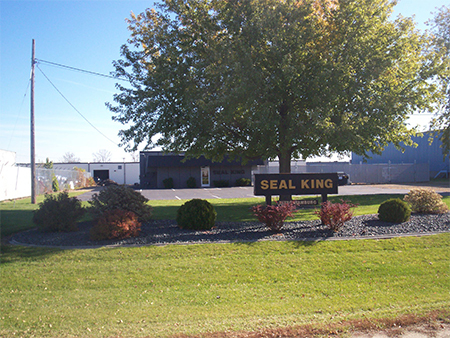 Local Company – The Seal King corporate office is located in the Air Lake Industrial Park in Lakeville, Minnesota and Seal King Franchises are independently owned and located within the area they service. High Performance Products – At Seal King we use the best products available. We use Premium Petroleum–based emulsion pavement sealers with high performance polymer additives and Black Diamond Coal Slag to give our material the durability to stand up to extreme climate conditions. We use premium hot rubber material for our crack fillers to prevent water penetration that can cause heaving and shifting of the driveway. 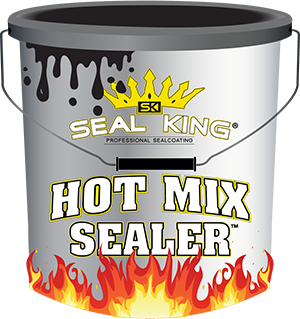 Proper Mixing Equipment and Facilities – Seal King stores 6,000 Gallons of raw sealer, which is then pumped into a 1000 gallon full sweep agitator tank. Water, Black Diamond Coal Slag, and high performance additives are blended together. Liquid meters calculate the exact amount of each ingredient. Our products are stored in a climate-controlled warehouse, eliminating weather-related product failure. Quality – At Seal King we use a 10-point quality checklist that was developed by our company. It is often imitated but never duplicated by our competitors. Our quality checklist covers all aspects of a professional and high-quality seal coating job. We developed this full service to ensure that every driveway we seal coat and repair, and every customer we serve, receives the most professional and high-quality treatment available. No Hidden Charges – At Seal King our pricing is listed in our brochures and literature. We have standard prices for two-car driveways up to 800 square feet and for three-car driveways up to 1000 square feet and there are no hidden charges. Customer Friendly – When you call Seal King to schedule your driveway repair or seal coating, you will be speaking directly with a professional Seal King specialist who can answer any questions you may have as well as schedule your repair. 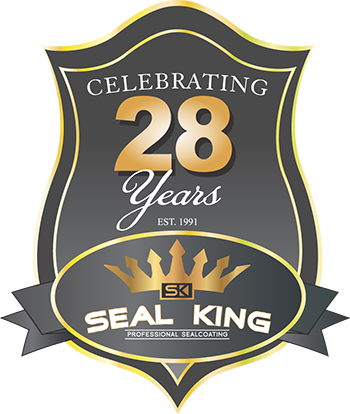 Seal King Guarantee – If you are not completely satisfied with your Seal King® application, call us before the end of the season and we will correct the problem at no extra cost to you! Environmentally Friendly Products – Seal King has been certified by the MN Pollution Control Agency and we only use products that are safe for the environment.